I am in the early stages of putting together a hi-fi setup for my future living room. The primary source is going to be a Sonos Connect which will allow me to stream music from cloud services like Spotify and also play my CD collection (from when CDs used to be a thing) which I have ripped to lossless files. However, my lossless files have been sitting on my laptop and needed to be liberated onto a NAS. Rather than spend $300 or more for a decent NAS, I decided to build one from a Raspberry Pi that needed to be put to good use and an old portable hard drive I had lying around. The Raspberry Pi Model B is attached to a Transcend StoreJet 320GB using a Quirky Bandit. 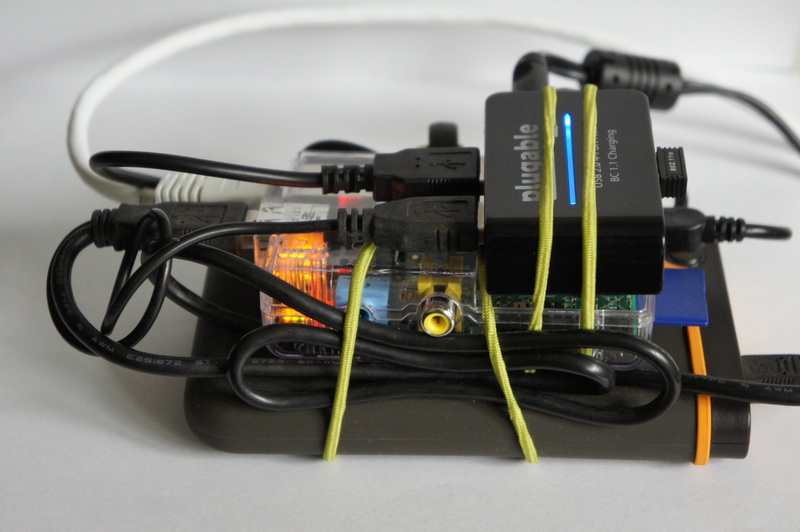 Powering the Pi and the hard drive (the drive comes with a Y-cable whose extra plug is solely for additional power) is a small, powered USB hub, which is attached to the Pi using another Bandit. 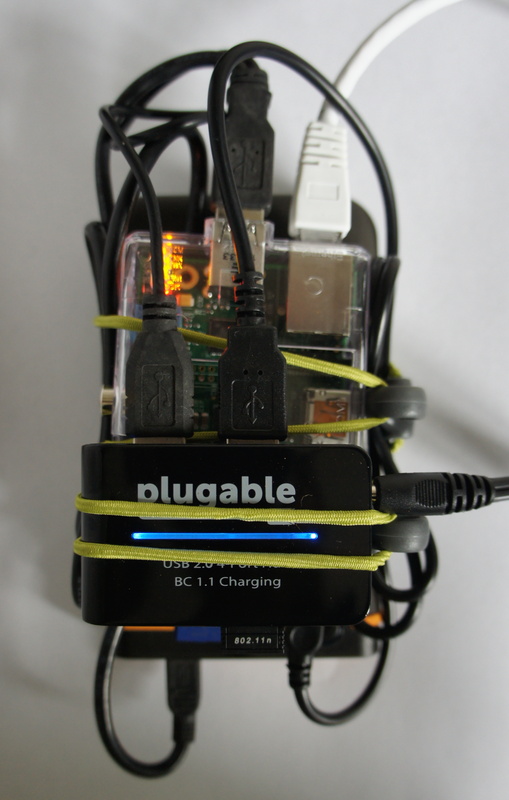 The two wires external to the unit are the ethernet cable and the power cable for the USB hub. Software-wise it’s fairly simple – just Samba running on Raspbian. This is perfectly adequate for my current needs, since the Sonos Connect just needs a Samba share to play local music, but the great thing about using the Pi as a NAS controller is its extensibility – I could quite easily install MiniDLNA for uPnP support. The setup was fairly straightforward despite by less-than-elite Linux skills, although the Samba configuration took a little bit of fiddling to get right. I also found the Logitech K400 Wireless Keyboard with Built-In Touchpad super useful in working with the Pi initially, prior to running it headless.